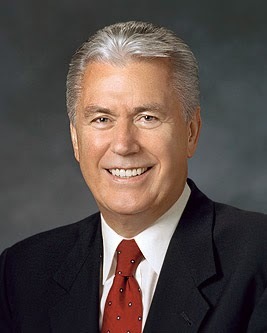 President Dieter F. Uchtdorf (1940- ) served as a Seventy from 1994-2004, when he was called as a member of the Quorum of Twelve. He has served as second counselor in the First Presidency since 2008. "I know this for a certainty: it is often in the trial of adversity that we learn those most critical lessons that form our character and shape our destiny. "I pray that during the coming months and years we can fill our hours and days with righteous work. I pray that we will seek to learn and improve our minds and hearts by drinking deeply from the pure fountains of truth." 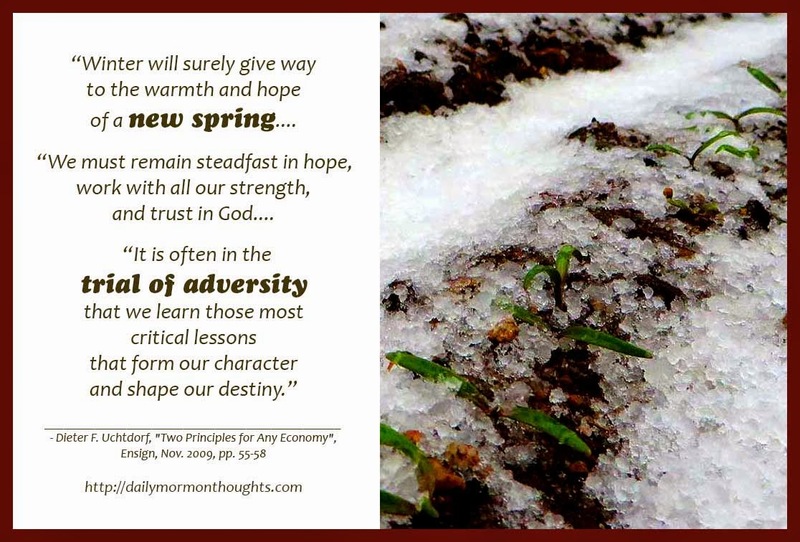 One of the most glorious messages of the Lord's Gospel is that "winter will surely give way to the warmth and hope of a new spring." We call that principle hope — the assurance that there are better things to come, that the trials and adversities are temporary, and that it will all be "all right" in the end. Our responsibility is to "remain steadfast in home, work with all our strength, and trust in God." I like the word steadfast; its origins imply standing firm or being stable and immovable. To be steadfast in hope is to never lose sight of the fact that spring is not far away in the midst of winter, that peace and comfort will follow adversity. That gives us the courage to "work with all our strength" in obeying and serving God, as we trust in His immutable promises. We "fill our hours and days with righteous work" and we "drink deeply from the pure fountains of truth" in order to keep that hope resolute and unwavering.